Probably the most important consideration when selecting a heating system for a squash court is not to interfere with the game itself. This consideration obviously precludes low level heating and means that heaters suspended from the roof are preferred. A mounting height of around 6m effectively precludes the use of fan heaters. Even it were possible to project warm air this kind of distance, the fan noise would be very significant and the running costs would be prohibitive because of a phenomena known as temperature gradient. It is estimated that in a squash court heated by fan heaters, the air temperature will increase by around 2.5°C for every metre above floor level. Therefore, to maintain an air temperature of 20°C at floor level, in a 6m high squash court, the air temperature at ceiling level would be around 35°C. The net result is a large body of over-heated air that is expensive to generate and serves no useful purpose. The solution to the problem lies in radiant heaters which will heat a squash court from high level without any noise and without creating a significant temperature gradient. Having decided on high level radiant heaters, we must know select between shortwave and long-wave heaters both of which have their advantages. Halogen heaters emit shortwave energy which is absorbed directly by people (in this case squash players) and experienced as heat. The impact of halogen heaters on the surrounding air temperature will be minimal. Traditionally there has been a reluctance to use halogen heaters in sports facilities because of the light output associated with the technology. However, with the introduction of the BN Thermic’s Magic Lamp which produces a barely discernible glow, the benefits of halogen heaters are being reassessed. A typical squash court could be heated using two 4.5kW halogen heaters suspended at around 6m above floor level. As the heaters are 100% effective the instant they are turned on, there is no need for preheating. Control by a time delay switch, will ensure that the heaters are not left on when the court is unoccupied. 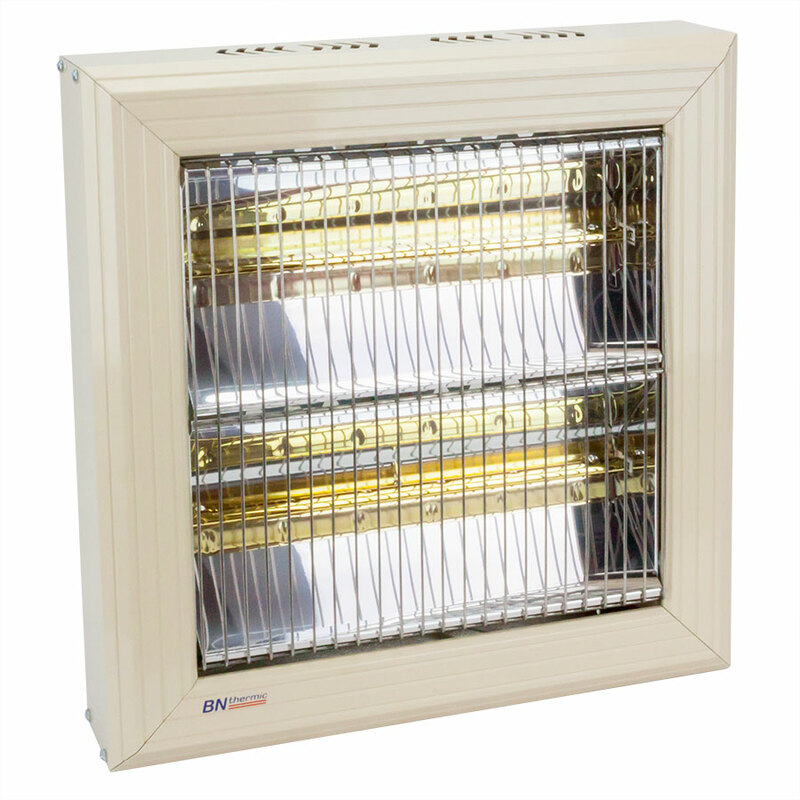 Halogen heating, using heaters with BN Thermic’s new Magic Lamp, is recommended for courts with sporadic and irregular use. 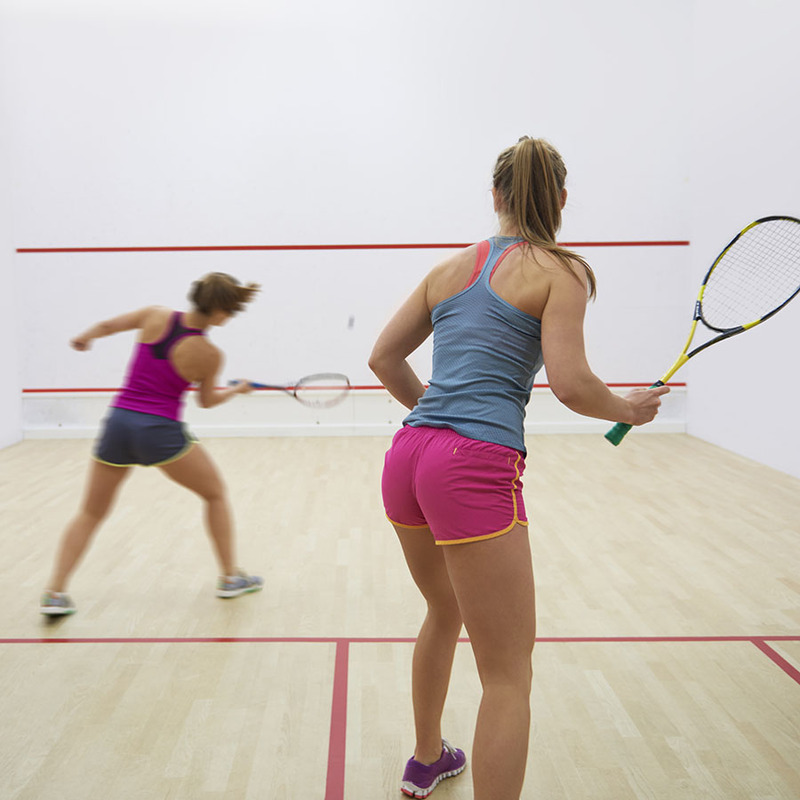 When squash courts are used on a more regular basis, long-wave radiant cassettes tend to be preferred. This system is designed to raise the air temperature within the squash court and will also warm the floor and walls more effectively than halogen heaters. Radiant cassettes do not produce any light output whatsoever. A typical squash court would require two 3.6kW cassettes suspended at high level. Control would be by means of thermostat and programmable timer. Radiant cassettes are not instantly effective meaning some pre-heating will be required. Please note that the above recommendations apply to a typical squash court. We are aware that the buildings housing squash courts vary considerably and that a selection that is ideal for any given court may not be effective in different court. Please take into account the characteristics of a specific building before selecting a heating system. The engineers at BN Thermic are very experienced and are always on hand to assist.